Standard - $34.99 Only 4 left! Putting on aviator sunglasses makes you a pilot right? Not quite. You have to have a great desire to be a mile above the surface of the earth, when you have that then you can enroll in flight school. This is where you will learn the art of flying. You will learn all the instruments in the cockpit. All the shiny buttons. You will also need to blend in. With this Aviator Costume Kit you will be well on your way to being a respected pilot. 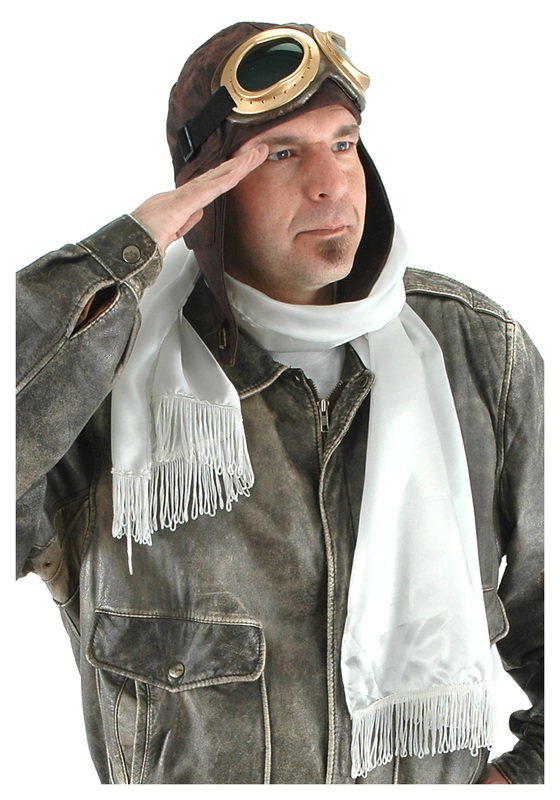 So, leave your aviators at home, slip on these goggles instead, and get ready to learn the subtle art of aviation. Just whatever you do not take the call name Goose. Or become friends with anyone called Maverick. Just take our word for it.